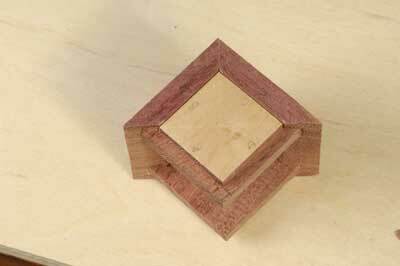 If you have already made a bench hook and shooting board, you are already halfway there with this project. 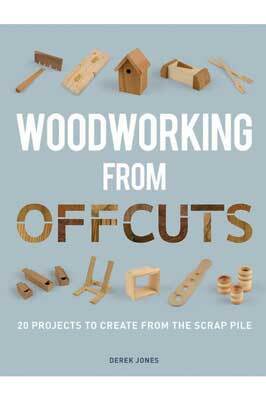 This is a perfect way to hone your sawing, marking and trimming techniques on small components as well as using up precious offcuts of exotic timber and veneer. 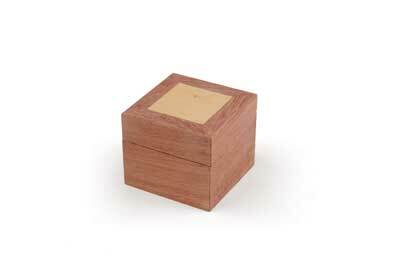 The proportions need not be square and, although this project is presented as a ring box, it could be adapted to store larger items. so cut over-size and trim to fit to achieve the best results. 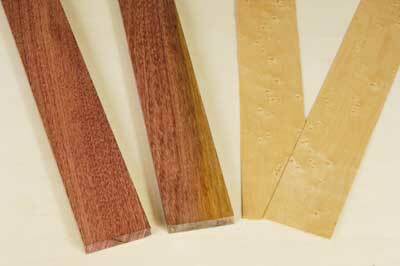 Select your offcuts; I used lengths of purpleheart and some bird's eye maple veneer for this project and cut the veneer slightly wider than the purpleheart. 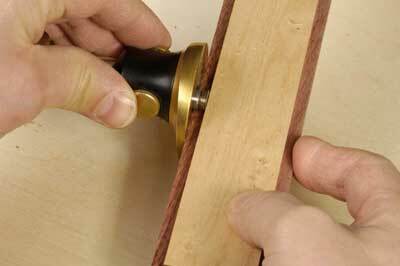 Apply a thin coat of glue to one face of the solid timber (not veneer). Spread the glue evenly across the whole width of the board. 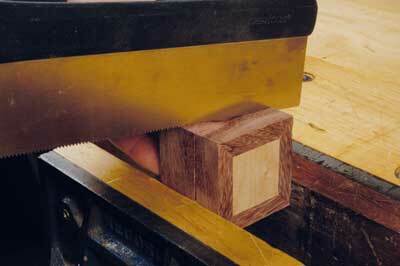 Sandwich the solid timber and veneer together using one of the solid timber boards as a press. 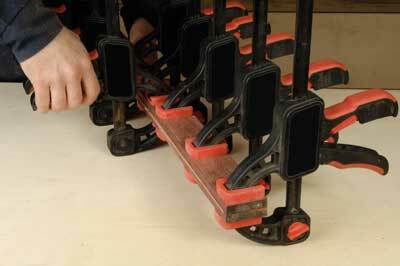 Apply pressure with clamps evenly across the stack. 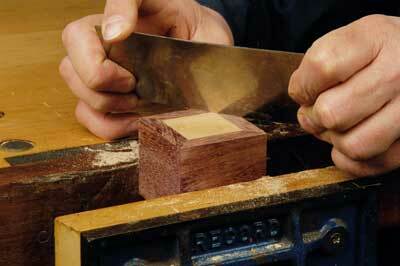 Cut a rebate on two edges of the veneered face and a corresponding groove to two edges of the plane board. 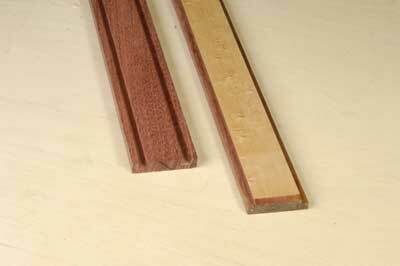 Try to achieve a reasonably tight fit with the veneered surface set slightly lower than the edge of the board. 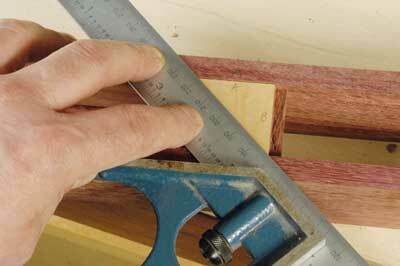 Cut and trim a square edge on the veneered board and set a marking gauge to the width of the rebate. 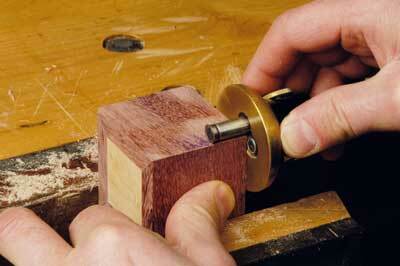 Transfer this measurement to the end and cut the shoulder to form a full-width tenon. 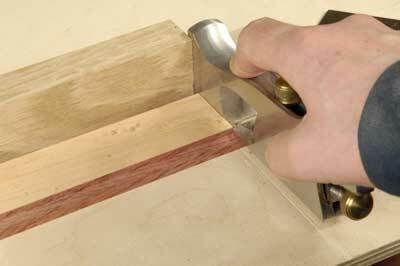 Use a shoulder plane to trim the tenon to size. 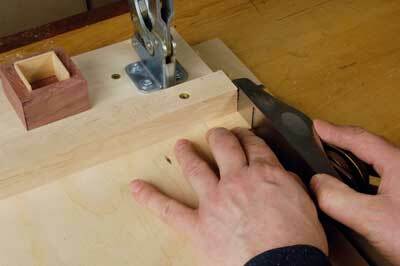 Mark out for the shoulder on the other end, remembering to cut the right side of the line. Use the first component to measure out for the second. The most important edge is the shoulder line, not the overall dimension, which can be reduced to fit later. 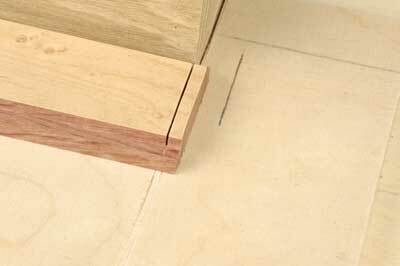 Label the meeting component edges before marking out for the corner mitres. 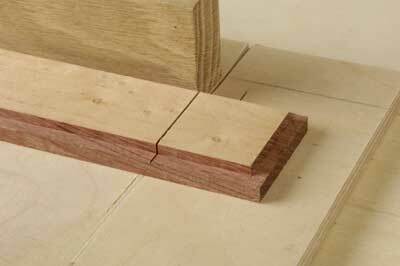 Cut the mitres over-size with the aid of a mitre block clamped to your bench hook. 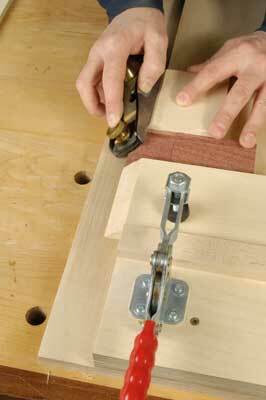 Trim the mitres with a low-angle block plane on the shooting board with a mitred support block in front and behind. If you under-cut any of the mitres you can adjust the shoulder lines of the insert, but remember to alter the top and the bottom. You might find it easier to glue the box up in two halves. 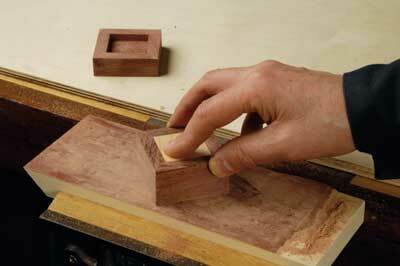 Use a cabinet scraper to trim the top and bottom edges of the box to the veneer. 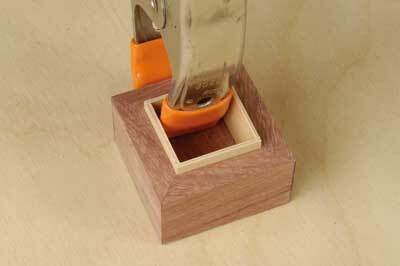 Use a marking gauge to mark out where you want the lid of the box to be. 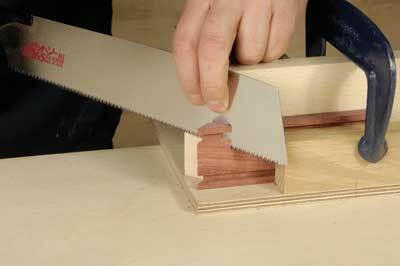 To avoid a mistake, cut on the line to split the box by first making cuts part-way through the sides to establish a continuous saw line. Level the edges using a sheet of abrasive stuck to a flat board. Work from corner to corner, a couple of strokes at a time, and then rotate. 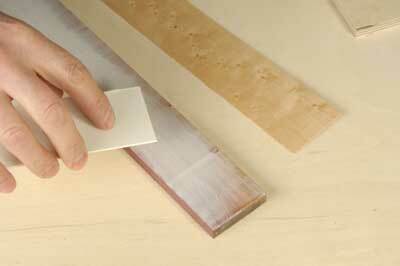 Make up some thin ply with three strips of veneer. Lay one piece with the grain opposing the direction of the outer layer. 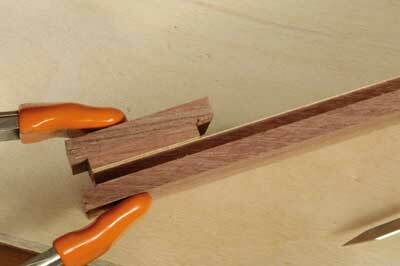 Cut the inserts over-size and trim them to fit on the shooting board. Glue the inserts in place one at a time.